Is your kid's youth sports coach good or bad at communicating with the team parents? Let's face it. Some coaches are great at the X's and O's, but not so good with communicating last minute changes to schedules or uniform selections. I am a contributing writer for the site Coachhub.com, so for this fall season, I got both my daughter's soccer coach and basketball coach to start using Coachhub.com for all their team's communications. 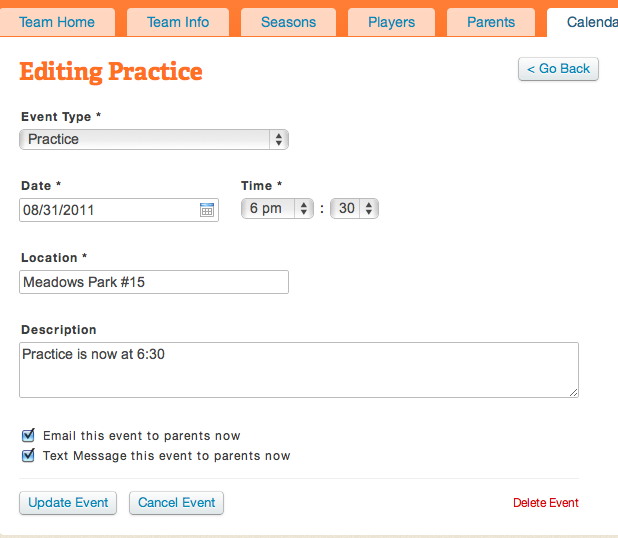 I also convinced my son's fall ball baseball coach to use Coachhub instead of EZTeams. 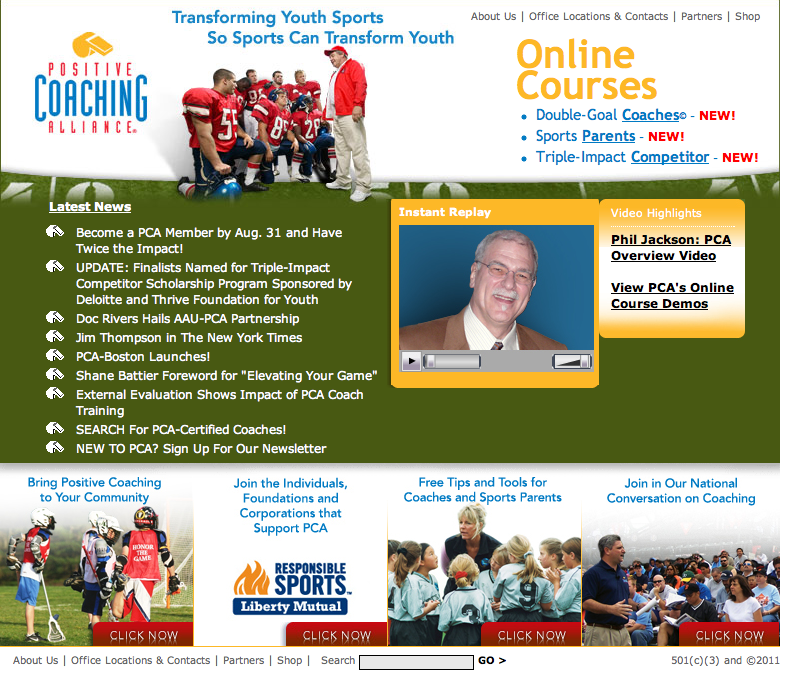 Coachhub.com is a custom team website and communication command center. Coaches can update information on the website and broadcast those changes to the parents via email or text or both with a click of a mouse. For example. Today practice was changed from 6:00 to 6:30. The coach simply went into the site and updated the calendar entry, checked off email and text to parents and clicked Update Event. Email and Texts were sent instantaneously. Each update is a triple dose of information (Website, Text and Email), so no parent can say "I didn't get the message." 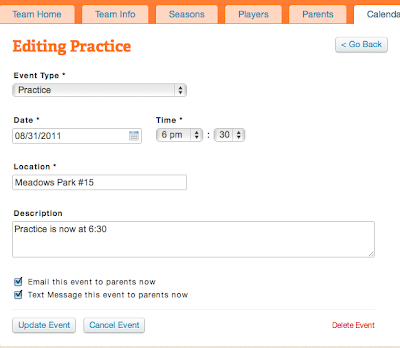 Announcements - Any parent or coach can make and announcement on the site and send that announcement out via email. This is a great feature if you need want to set up a car pool for a practice. 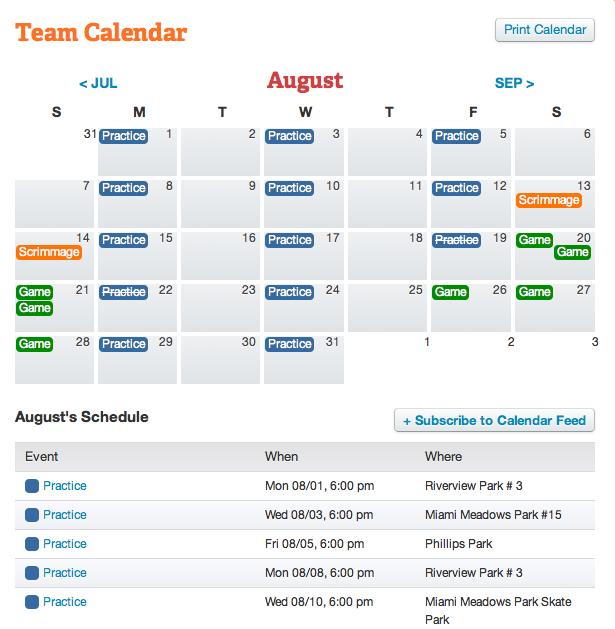 Calendar - The site features a web-based calendar to view scheduled games and practices. The calendar can be printed or synched to the personal electronic calendars like Outlook or iCal. Any additions or changes to the calendar are automatically sent out to parents via Text and / or Email. Stats - The coach can keep the team and individual stats on the site. Game Results - The site keeps track of the team's wins and loses. 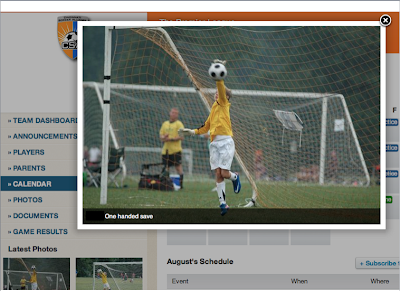 Photos - Any registered parent or coach can upload team pictures into the site for other team boosters to enjoy. Team Documents - The coach can post any documents on the site like medical forms. Baseball, softball, soccer, football and basketball are currently up and running. Other sports will be added soon. Coaches always say that communication on the field is key. Hey coach, off the field communications is important too. Coachhub.com is so easy to set up. You simply need to type in the players name, the parents name and email. The system sends an email to the parents and they provide all the other information you need - like phone numbers, cell phone numbers, alternate email addresses, etc. 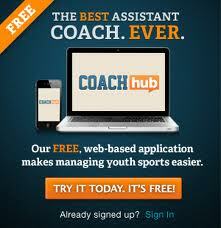 Coaches try out Coachhub.com as your communication command center. Then yell out, I GOT IT, I GOT IT. 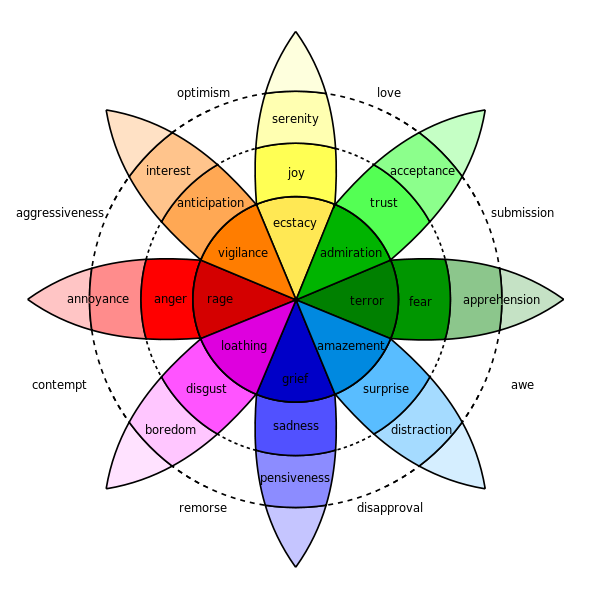 In 1980, Robert Plutchik created a wheel of emotions which consisted of 8 basic emotions and 8 advanced emotions each composed of 2 basic ones. I think that he studied fathers of 10 year old girls who happen to play goalie for their soccer team. I certainly went through a wide range of the emotions just this past weekend watching, coaching, cheering and consoling my daughter, CC, during the opening tournament of the season. 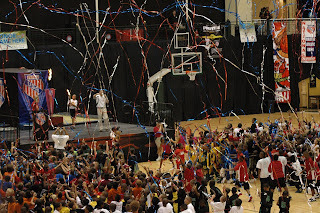 Anticipation - Fathers of young athletes anxiously await the first games of a season. All week long, I couldn't wait for the weekend to come so I could see my daughter, CC play. 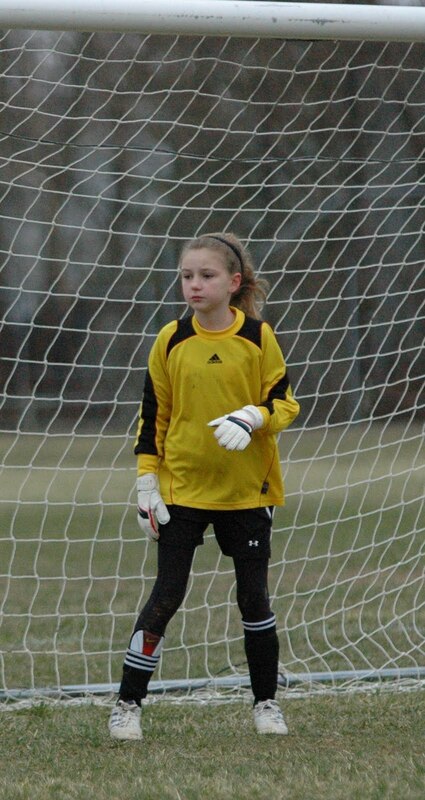 CC was being featured as the starting and full time goalie for her elite soccer team for the first time. Optimism - I did not schedule any golf for the weekend because I assumed that CC's team would advance to the finals. Boredom - My daughter's team dominated the first game of the tournament. 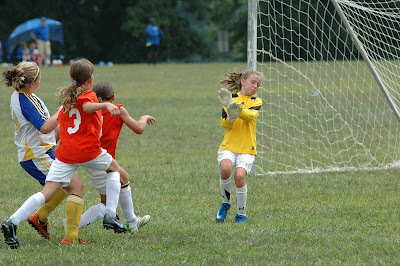 As such, CC recorded a shutout, but did not touch the ball more than two times the entire game. 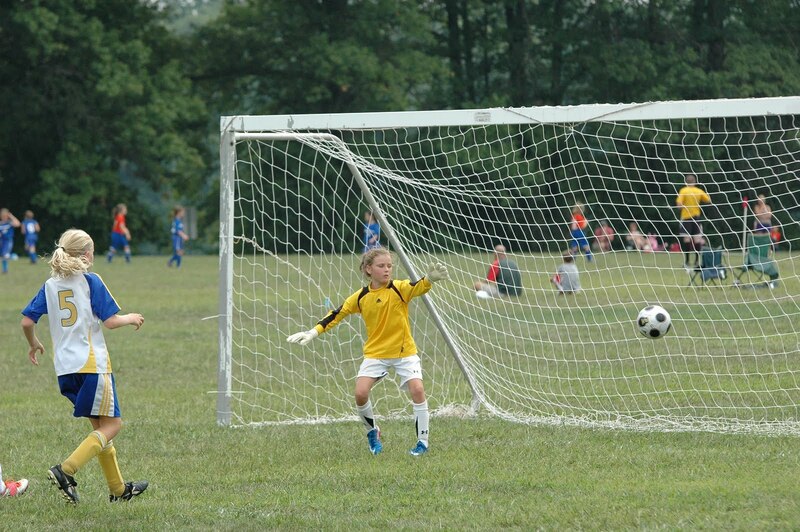 The highlight of the 8-0 win for the goalie's dad was one punt and one goal kick. One punt in 60 mins, boring. Apprehension - Before the second game, My daughter and I looked over at the other team. CC saw the big, strong girl who injured her last season on a 1v1 fast-break. Bad thoughts ran through my mind. 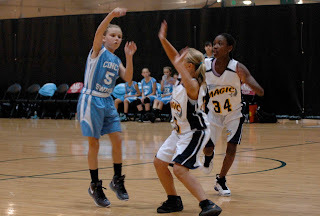 Annoyance - In the second game, the wing defenders were not getting back on defense while my daughter was getting pounded with shots. 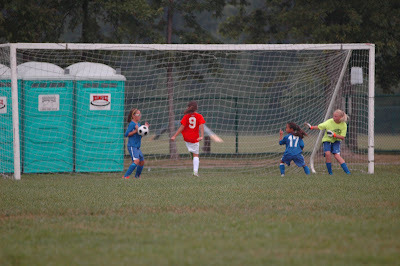 Disapproval - My daughter did not call for a ball in the box that she could have easily picked up. 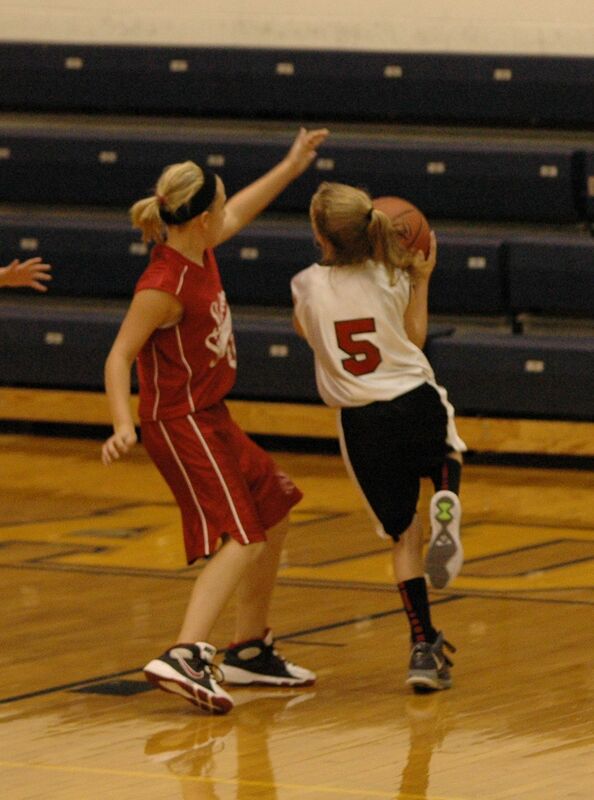 The defender hesitated expecting CC to pick it up before she decided to kick it. The weak clearing pass was intercepted and ended up in the back of the net. Disgust - I was disgusted that the coaching staff did not make any defensive adjustments to try to protect my daughter. Sadness - My daughter gave up 6 goals. After the 4th goal she was weeping in the goal thinking it was all her fault. I felt her sadness and yelled out words of encouragement. Remorse - Should I have encouraged her to be a goalie. Is she tough enough mentally and physically to endure the long stressful season on a top regional team? Fear - My daughter had to come out of the goal to shut down a breakaway threat against, you guess it #59, the strong girl who ran her over last year. 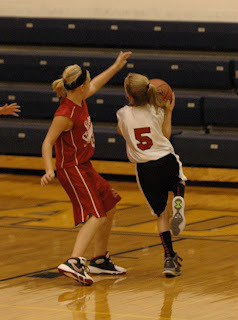 Admiration - I admired her courage as she deflected the point blank shot. 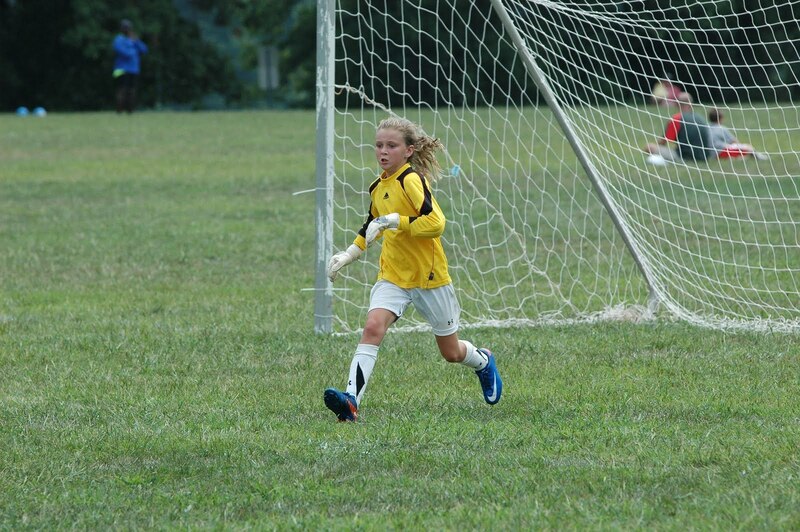 Awe - CC made 9 truly amazing saves in three games. Saves I could have never made as a 10 year old boy. Amazement - I was amazed at how CC bounced back after giving up 6 goals to just the day before to perform with absolute confidence. 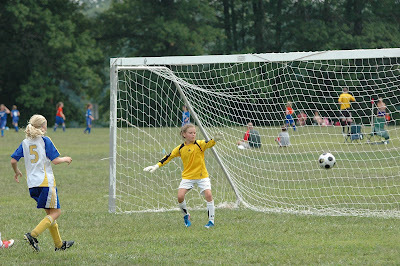 Surprise - I was surprised when she made a game saving stop with one hand. Anger - I was angry that the Refs did not call a handball in the box that would have led to a game winning PK chance. Handball caught on film, but not by the ref. These are the most important emotions that I felt this past weekend as the team went 1-1-1. Joy - Several moms came up to me after the last game and were very complimentary of CC's performance. That made me feel great. 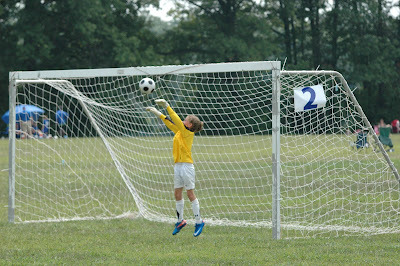 Acceptance - I accept that there will be ups and downs as the goal keepers dad. Love - Win, lose or draw - I love my daughter. Typically a team carries more players than positions on the field, so logically everyone cannot be a starter. Regardless, every parent thinks that their kid should be a starter. I believe that everyone on the team should be given a chance to become a starter, but a starting position should be earned on the practice field, at home in the driveway, in the weight room and during games. So, what should you do if your kid is not starting? Before you call the coach consider the following. You need to evaluate your kid's situation through that lens before you become THAT parent who complains to the coach or conspires behind his / her back. 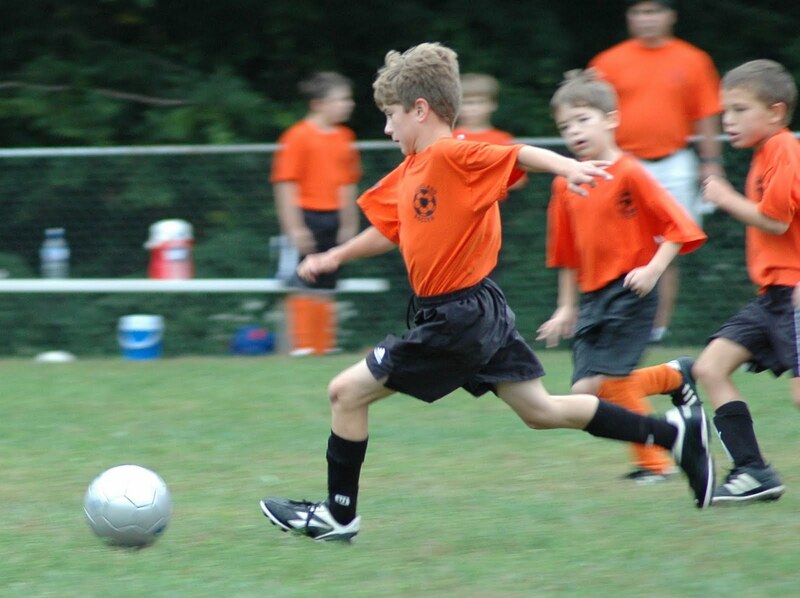 1) Honestly assess your kid's physical ability vis-a-vis the other kids on the team. 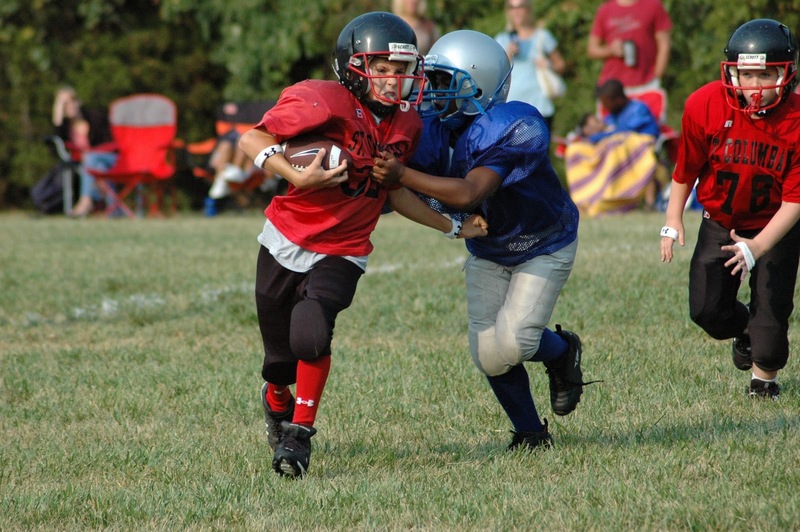 Is your kid fast enough, quick enough, strong enough or coordinated to standout as a starter? I'm not talking about polished skills, we will discuss skill later. I am just talking about physical ability. If not, think about strengthening or acceleration programs. But as a strength / acceleration trainer friend of my once said, "I guarantee that I can make anyone faster, I cannot guarantee that I can make everyone fast." 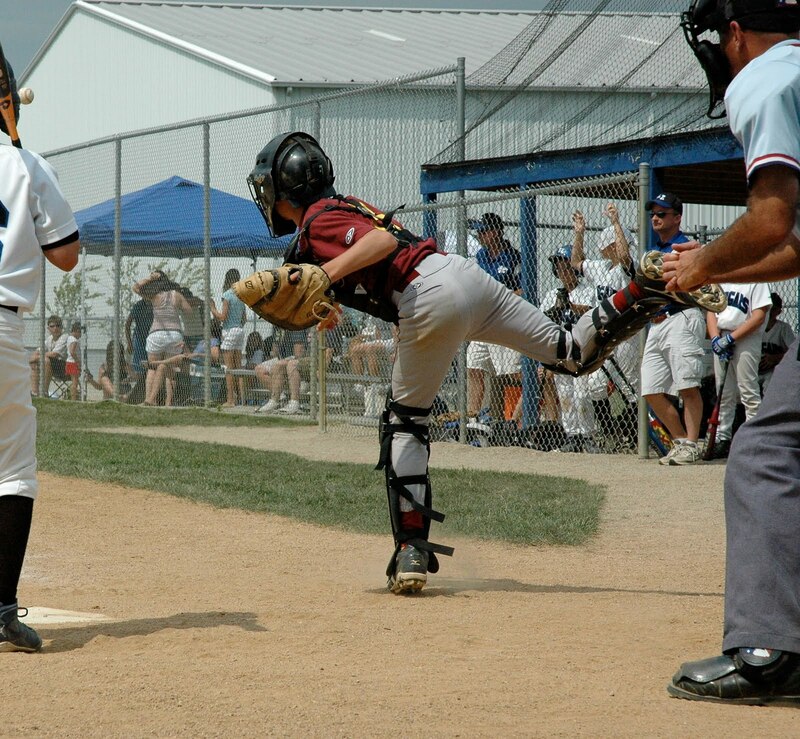 Once you honestly evaluated your kid's physical potential, decide if the chosen sport is really the best choice. Maybe there's a sport more suitable for your kid's physical abilities. But be careful, you need to have some foresight because physical abilities change as your kid matures. For example, my older son was a small, agile finesse soccer player when he was younger. He was a pretty good player and fast enough to compete on B level teams. 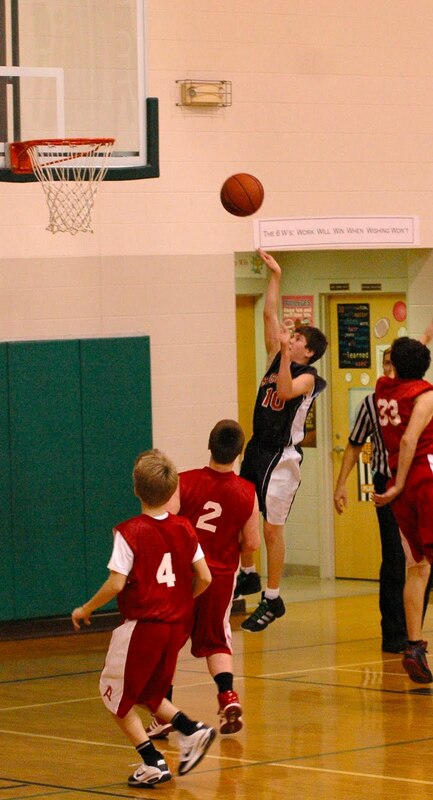 He had enough skills to make the 9th grade team of the very competitive HS he attended. He grew to 6'3" and lost what little speed he had. He was cut from the team after his 10th grade year because he didn't have enough speed. 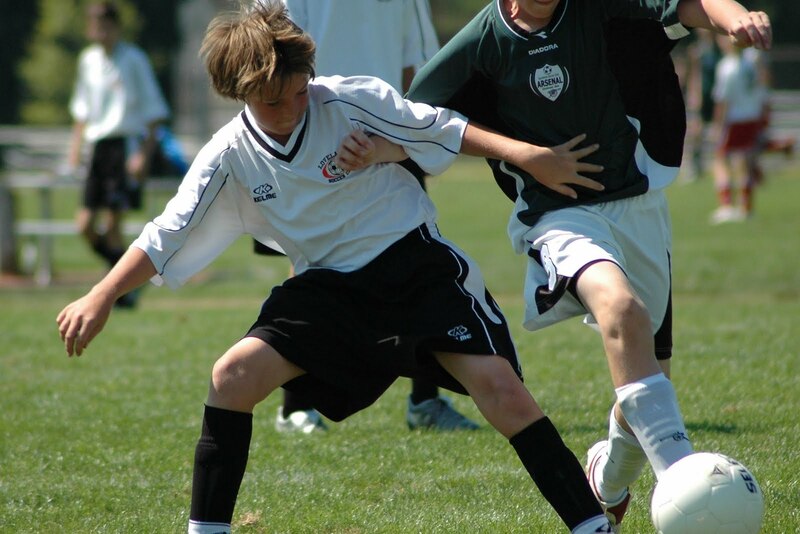 Competitive soccer is about speed. Perhaps volleyball would have been a better sport for him. My youngest son has a heart condition. (Read God Loves Baseball to learn about his heart issues) He has played some endurance sports like soccer and did very well, but looking forward to longer games on bigger fields, he would not have been able to keep up. He gave up soccer to play football where every play is less than 30 seconds. He excelled at football, but didn't like it. 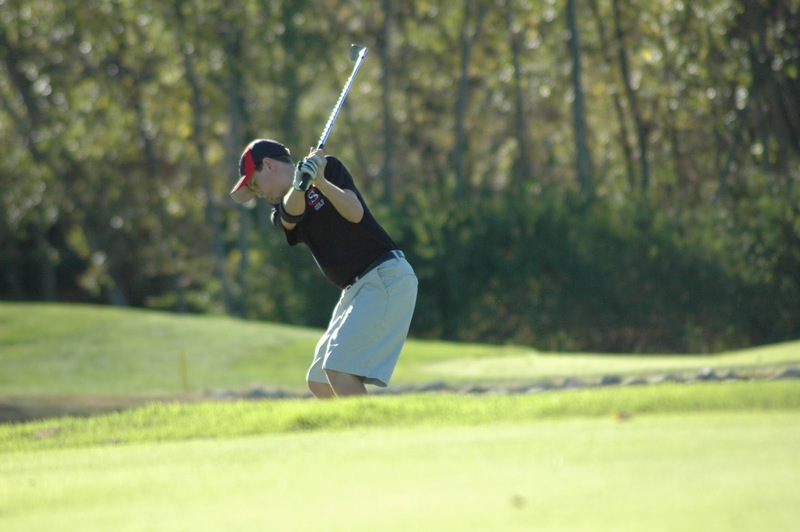 He won two city championships then stopped playing football to concentrate on baseball and golf. 2) Honestly assess your kid's motivation. 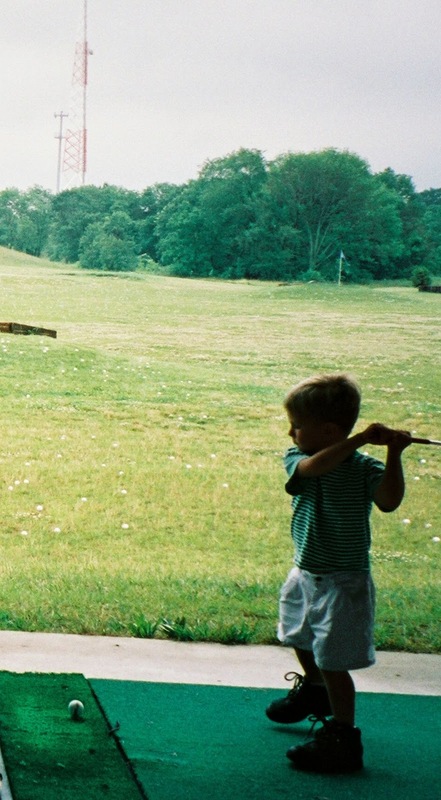 Does your kid really like the sport? Sit down with your kid and determine that. Perhaps there's a sport that your kid would be more interested in. Consider that a sport that matches his or her physical abilities might be more motivating. Let your kid decide which sport he / she would enjoy. Lots of parents push the sport that they know or played as a kid. That would be the parent's motivation, not the kid's. I loved baseball growing up. Still do. I could not wait to teach my first son how to play baseball. He had an outstanding arm and was a good fielder, but was literally scared to death in the batters box. I made him play for a few years thinking that he would eventually get over the fear. He never did. 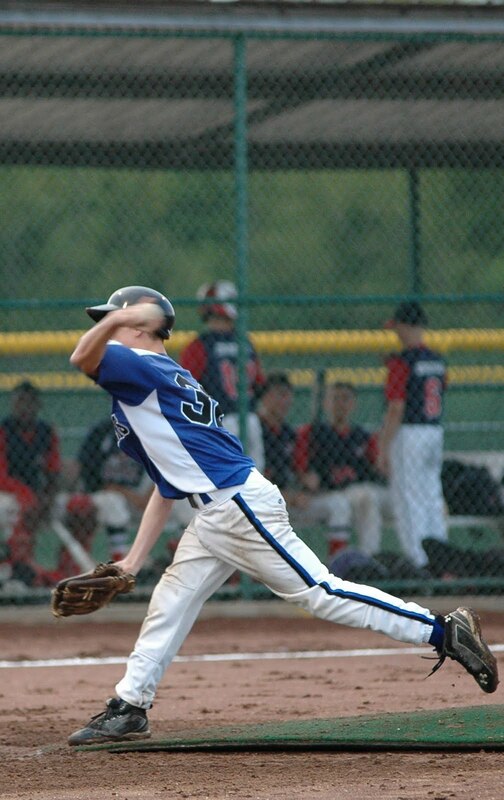 He loved playing the outfield and pitching, but didn't want to hit. That really is not an option in little league. He decided to quit baseball and play soccer year-round. I was ok with it. My second son was born with the baseball bug and plays baseball at the highest level every year he has played. He loves it. 3) Honestly assess your kid's attitude regarding the sport. Is your kid working as hard as the other kids on the team. At the end of soccer practice when the team is doing wind sprints, is your kid in the front of the group or the last one. When your kid gets home after a basketball tournament, do they go in and sit on the couch or go right from the car to the hoop in your driveway? Does your kid whine about going to practice or are they always eager to go? Do they seek out the coach for extra reps or ask you if they can work with a professional trainer? Is your kid really interested in improving his or her skills to get better so that they can earn a starting sport and keep it? There are some kids who are born with natural athletic ability. 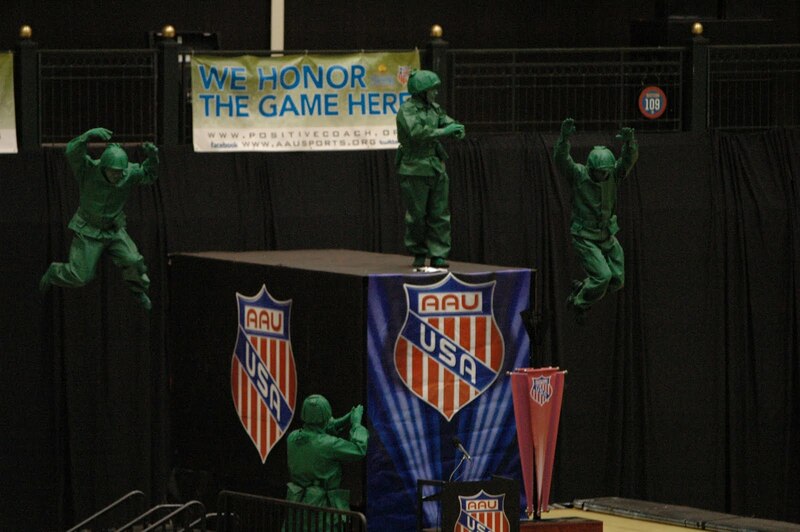 They seem to come out of the womb with superior hand eye coordination. They can run, catch, throw and kick before other kids can even walk steadily. 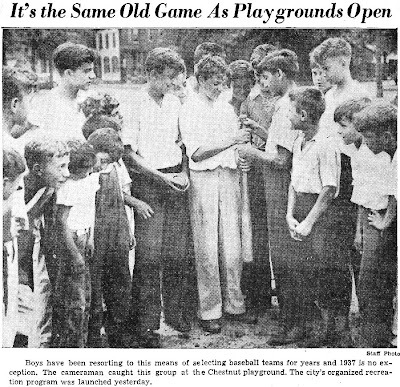 At 4 or 5, they play up on teams with kids one or two years older just to find compatible players. Will these young athletes be high school standouts, college scholarship studs or professional phenoms? The answer. Who knows? 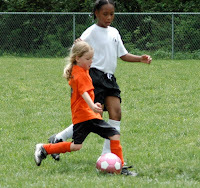 Each kid develops at their own pace. 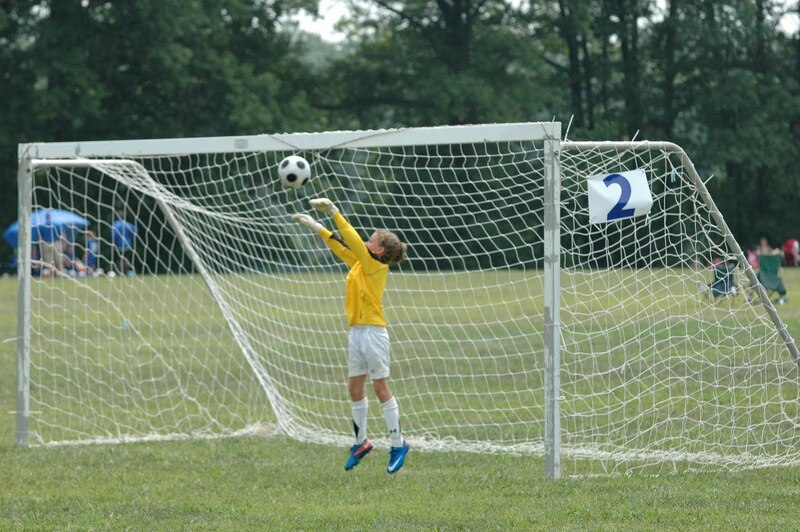 Some kids develop coordination early and dominate in sports but then plateau. Others start off awkwardly but turn into good athletes. Some kids grow early others are late bloomers. All kids are born with confidence, but some lose it. Some kids love for sports grows, others lose interest. Yes success in sports requires natural ability, but passion for the sport and a strong work ethic are equally essential. A kid will not likely succeed at their chosen sport long term if he or she does not have all three qualities. What happens to a young athlete who is born with natural ability, develops a love for the sport, but has no work ethic? It can be a real blessing when things come so naturally to an athlete at really young age. These kids use their natural ability to achieve early success. Success builds their confidence and their love for the game. 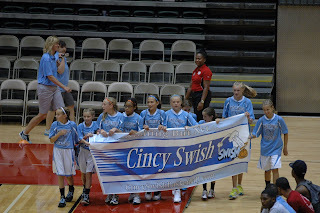 They love the game because success and its associated praise from parents and coaches comes so easily. 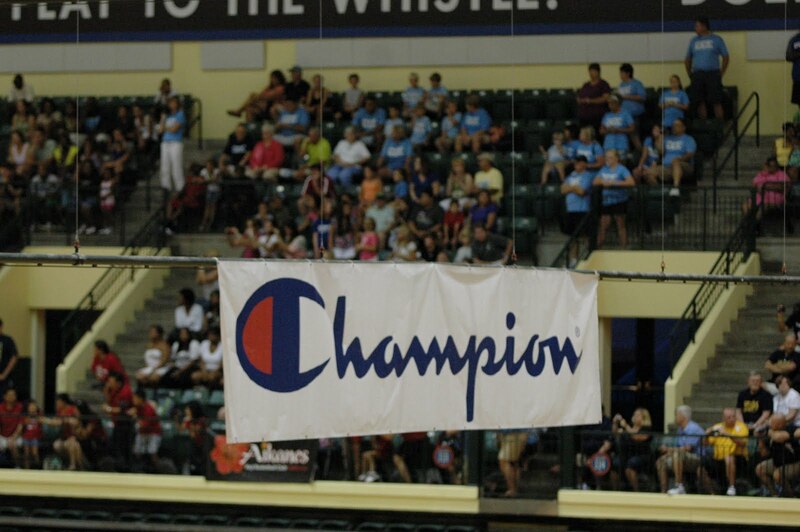 This passion and natural ability will likely motivate the young athlete to tryout for a more competitive team. 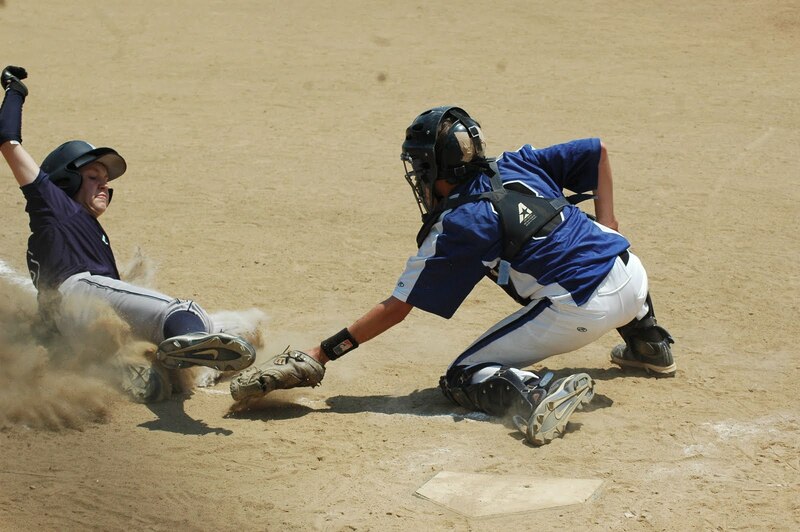 This is when the naturally gifted player may come to the realization that they aren't so special anymore. 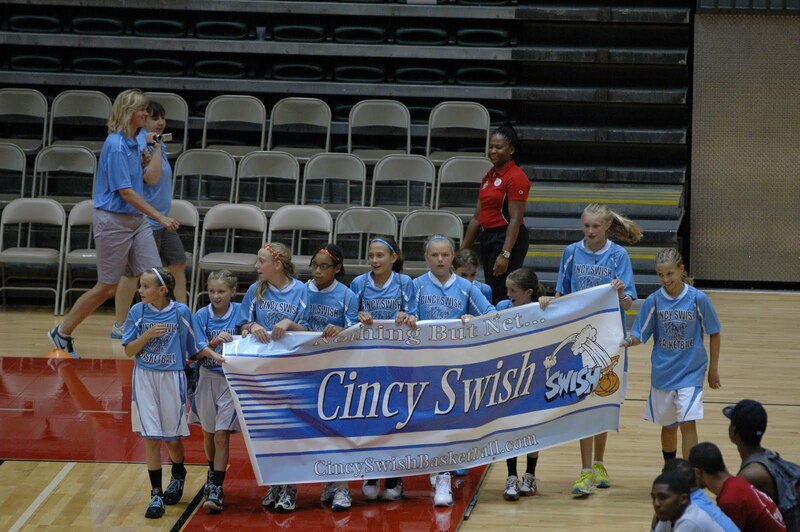 It may be the first time that they are surrounded by other equally gifted players or perhaps better players. Their confidence will be tested for the first time. They might lose their grip on a favorite position. The praise that fueled them before doesn't come as frequently. They might start losing playing time. Self-doubt creeps in and suddenly they start thinking instead of reacting instinctively. This is when mistakes happen. They had never failed before so they do not know how to overcome adversity. Their passion for the game wanes. They never had to work hard to be good before, so they never developed a work ethic. They start to "not try" because they would rather be viewed as a kid who's not trying hard instead of a kid who is trying hard and failing. Then they quit. What happens to a young athlete who has natural ability and a work ethic, but no passion for the sport? 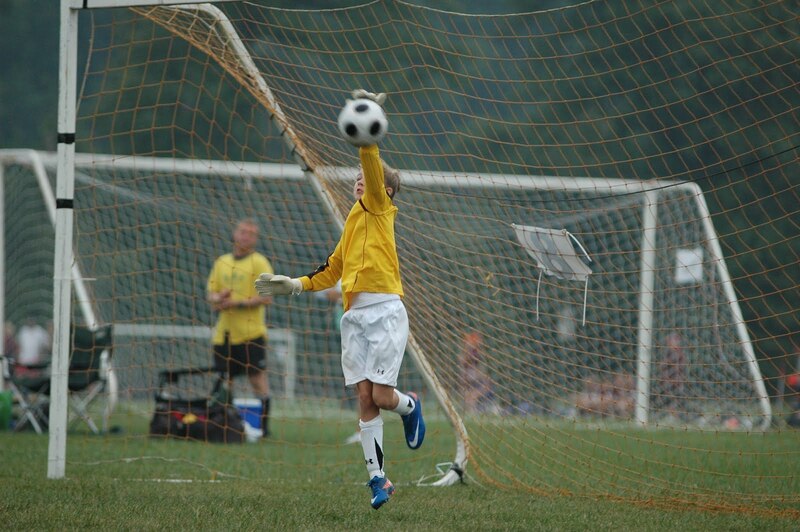 Thoughts from the dad of a soccer goalie regarding specialization at a position and the pressure to perform at a high level at a young age. Last year, my daughter, CC, was the #1 goalie for her team, but she only played the second half of each game. 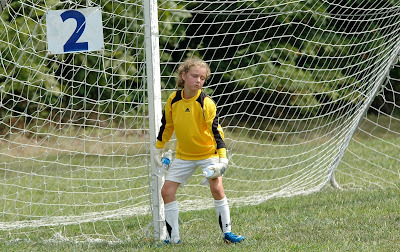 I really didn't realize that she was the #1 goalie until overtime of the Ohio State Cup Quarter Final game. When the score was tied at the end of regulation, I really wasn't sure which goalie the coach was going to send out for OT. As it turned out, my daughter ended up playing the first OT period, so I expected the other goalie to play the second one. 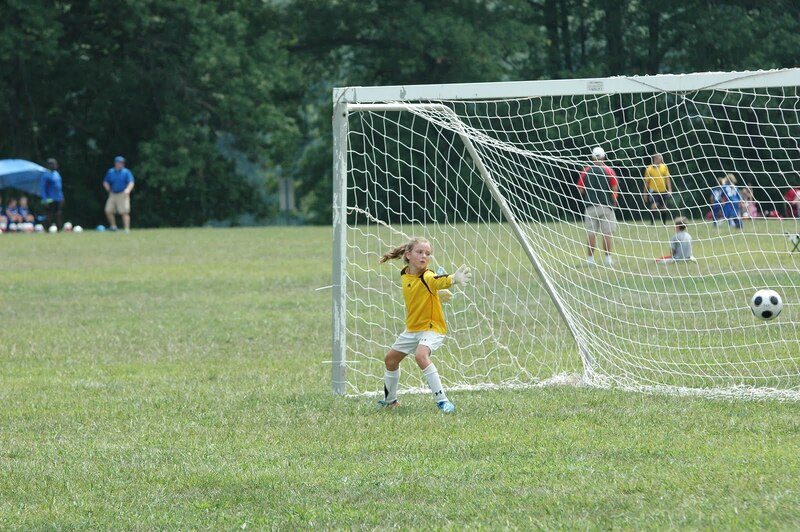 At the end of the first overtime period however, my daughter stayed in the game and therefore was the goalie on the field for the crucial PKs. PK participants can only be selected from the players on the field at the end of the second OT period. 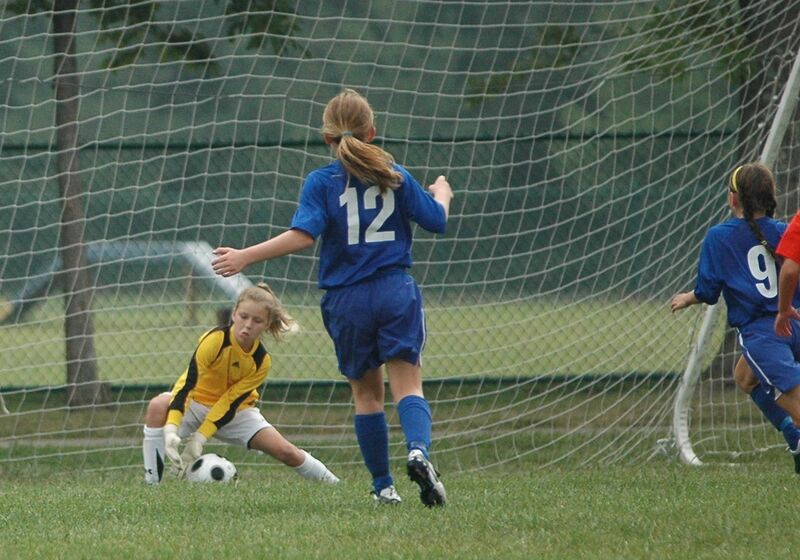 I didn't realize she was the #1 until this day because the other goalie was very capable too. 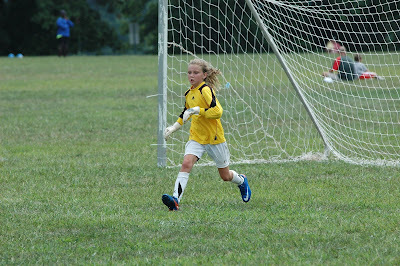 My daughter ended up shutting out the other team in both OT periods and made two great saves in the PK shootout to help the team win the game. 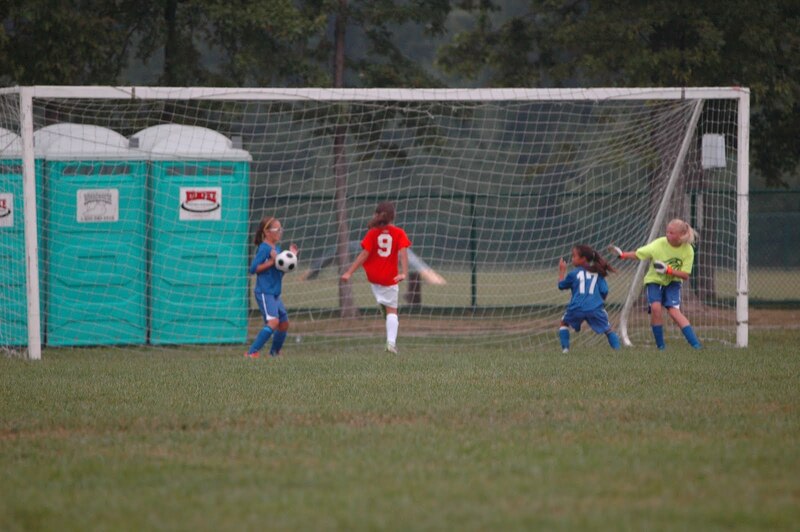 I wrote about that in Youth Soccer: The Pressure of the PK Shootout. 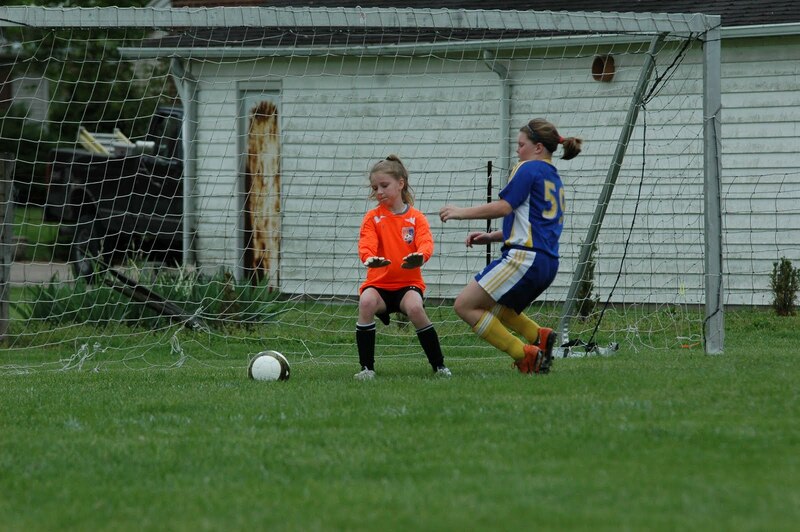 This year, the coach decided to go with one goalie for this season and my daughter was chosen. I had mixed emotions about this decision. 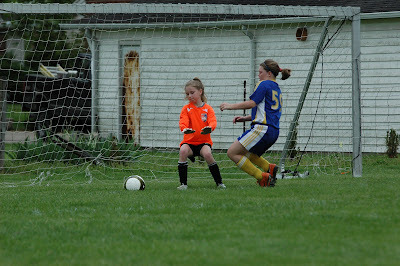 And I really liked the other goalie who happened to be one of my daughter's best friends on the team. I was also concerned about the team without a backup plan in case of illness or injury. 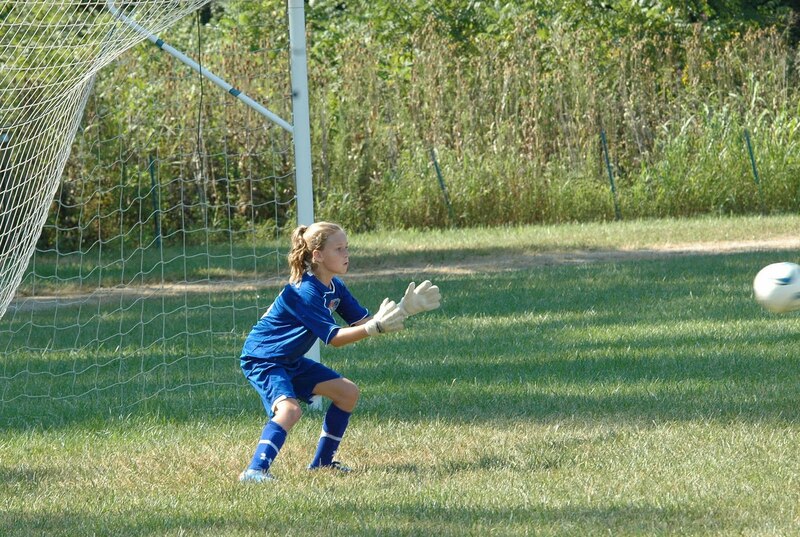 And I was concerned about my daughter specializing at goalie at age 11. Lets say you specialize at striker and are not quite good enough, the coach can move you to midfield. While a player is spending the majority his or her time working on perfecting the goalie position, he or she is rapidly losing ground to other players on his or her foot skills. So if a player is not quite good enough for goalie, then there may not be another option. 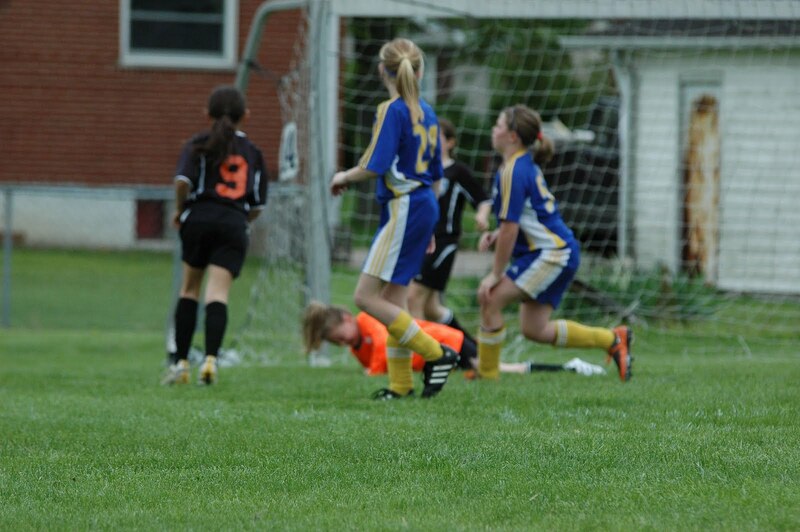 It's not impossible for a goalie to move back onto the field, but let's face it, it makes the chances tougher. 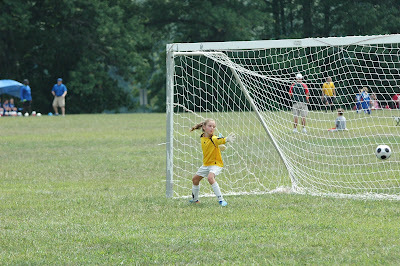 Finally, I wasn't sure my daughter nor I were ready for the pressure that comes with being "THE" goalie on a top team. A team that parents invest a lot of money and emotion for their kids to play on. We all know that goal scorers get a disproportionate amount of credit for wins and goalkeepers get a disproportionate amount of blame for loses. The Fall season starts today with a scrimmage against one of the best teams in the state of Kentucky and we would start to understand the last point. 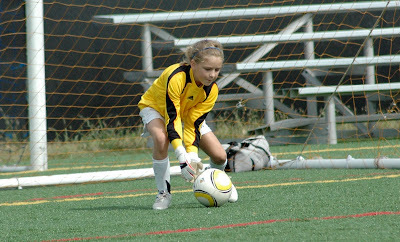 Regarding specialization: My daughter didn't want to play soccer this fall if she were not going to be full time goalie. She has allergies and sports induced asthma so outside sports with lots of running are problematic. The wheezing and shortness of breath during games takes the fun out of the game for her. As such, she decided that she would rather concentrate on improving on basketball and volleyball (indoor sports) if she could not play goalie full time. We do not force sports on our kids, so that made the specialization issue easy. Regarding the pressure: She seems confident and ready. 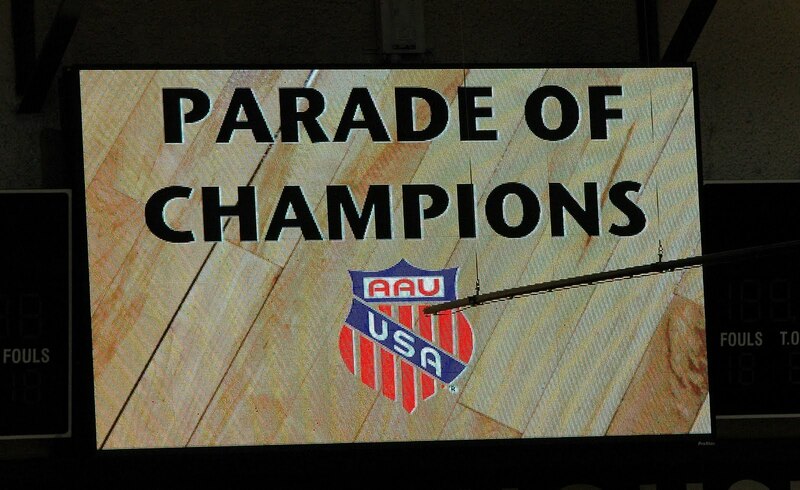 She didn't like being on the bench during the crucial AAU Championship basketball games. She wants to be in the spotlight and she wants the ball. Well, she will be getting lots of balls this soccer season as the primary goalie for a team playing in an elite regional soccer league where the best teams from Ohio, Kentucky and Indiana compete. I am ready too. I am feeding off of her confidence but I did remind her something her cousin Dineen said, "If the other team scores a goal, I know that that ball had to go through 10 other players first before it went by me." All coaches and sideline assistants like scorekeepers need to take an online course from the Positive Coaching Alliance called Double Goal Coach: Coaching for Winning and Life Lessons. Everyone who wishes to sit on the sidelines with the team must pass the test with a score of 80% or higher. 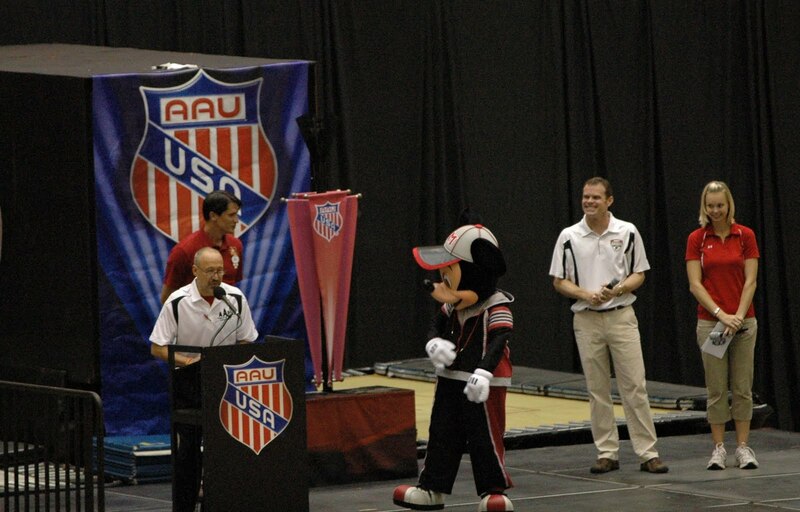 You can access the course and the test through the AAU website. You need an AAU membership number to take the course. Most of the content in the course is common sense wrapped in helpful mnemonics like ROOTS (Respect the Rules, Opponents, Officials and Teammates and Self). We have all experienced confidence killing coaches, witnessed unsportsmanlike behavior on the field and watched unruly parents in the stands. This course gives coaches techniques to build confidence, to control bad behavior from players and parents and to honor the game. According to the Positive Coaching Alliance, coaching for life lessons actually results in more statistical wins on the field of play. Tip: This course and the test (if taken properly) takes 2 hours. 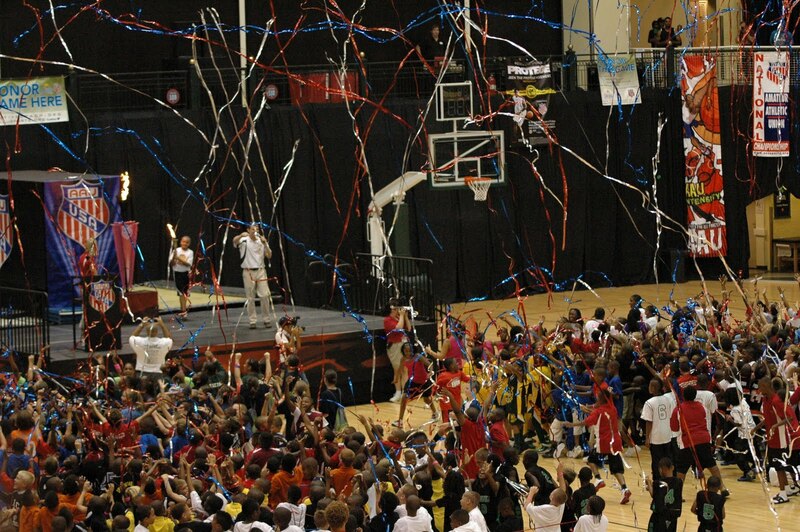 Tip: Four coaches can register with the team and get into the Disney ESPN Wide World of Sports facility for free. Coaches, if the team does not have four sideline coaches reward the team mom or the scorekeeper with the opportunity to be a credentialed sideline assistant. They will have to spend $14.00 to become a member of the AAU and take the test, it will save them $58 - $72 in admission costs for the events. Take the test and more importantly embrace it. 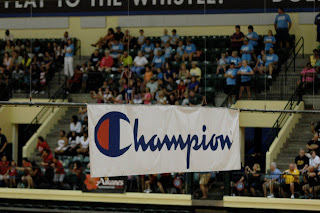 I talked to several coaches from various teams at the AAU tournament who skipped the course, went straight to the test and passed it (if not the first time, the second time). Poor integrity off the field will lead to poor integrity on the field too. I completed every step of the course, downloaded all the reference material, listened to every video and completed the test in about 2 hours. The test is easy, especially if you listen to the course. I got a 100%.